A long, winding road which local kids swear is haunted. Often if you pull over in the middle of the night you’ll hear disembodied screams off in the distance. 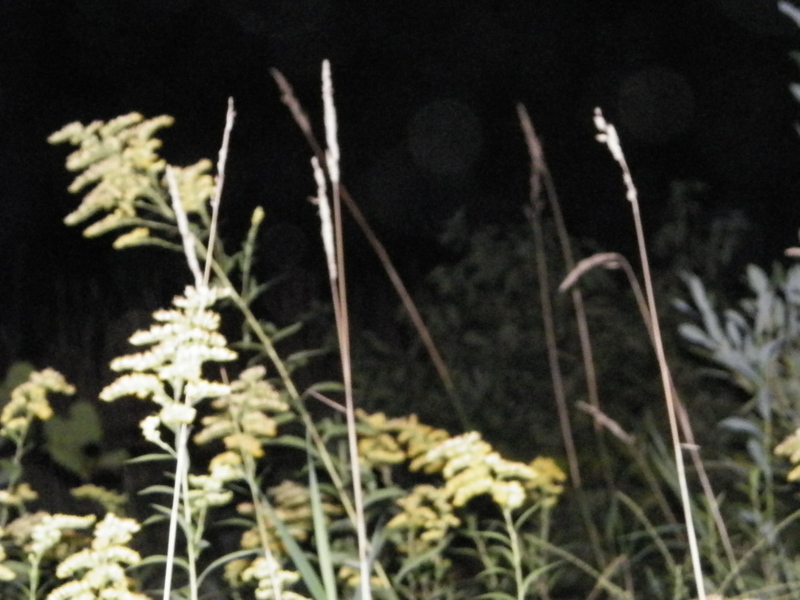 Some ghost hunters have caught strange objects in photographs and weird EVPs here. 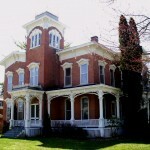 Being a paranormal investigator for over 13 years, my girlfriend and I went down Sterling Road one summer night around 11:30pm. We got out of the car, and everything was silent, and I was rolling on my DVR when we heard this disembodied, blood-curdling scream in a female voice. Never did I get any apparitions on photos or video, but the audio was undeniable. One night, she went there alone, and heard it again. We both tried to debunk it as maybe a truck breaks, or whatnot. However, there was no traffic at either time. I’d would like to know who the victim is/was. A couple of friends and I have been down this road various times. We parked off to the side and got out to walk around. We heard a loud scream as well as children. We even went to check out the house at the beginning of the road that is condemned. That seems to have a lot of paranormal activity. The first time we went to the house, I stayed in the car. My two friends decided to go to the house and start provoking, It had been a few minutes and I decided to go up and join them, As soon as I got out and started heading up the drive way, my friends turned and ran towards me at full speed, telling me to get back in the car. They told me that one of them decided to knock on the door, and continue to provoke. They heard what sounded like someone trying to bust down the door from the inside. The next time we went back to the house, I went up to the house and touched the door. As soon as I made contact with the door, we heard what sounded like pots and pans being thrown. I stepped back a bit, and decided to walk around the house. One of my friends wanted me to sit on his shoulders to look in the window on the side of the house, but I refused to, since I was still trying to recover from what had just happened. So my other friend told him to boost him up. He looked through the window and said it looked like the kitchen, Not even a minute after being boosted up, he yelled and jumped down, running to the front of the house. 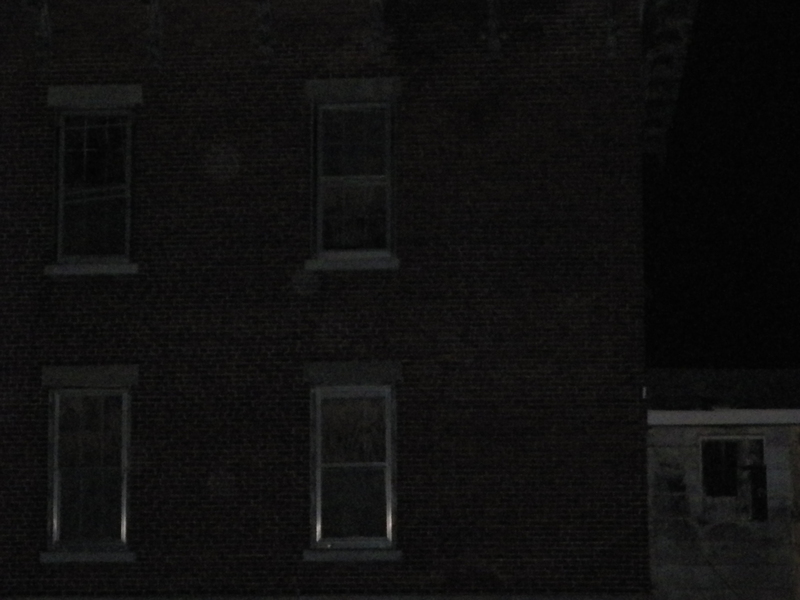 When we asked what had happened, he told us that a face had appeared in the window, We only went back there once after, and refuse to go back, after one of my friends seemingly became possessed by something. we had gone to the house and walked around. He started complaining of not feeling well. So we decided to get away from there and drive to another spot a few towns away that was also reported as haunted. The whole drive there, he wasn’t acting himself. He kept mumbling things under his breath and just, had this look in his eyes. At one point, he turned to my friend who was driving and said clear as day, “Praying isn’t going to save you now.” I was confused, because no one had been praying, out loud at least. I asked my friend driving if he had any idea what he was talking about, and he told me that he was scared, because he had been silently praying in his head. That road definitely has something about it. Interesting. I wonder if theres ever been murders in this paticular house. Without going into too much further detail let me just say I’ve been inside this house around 2003. It was definitely creepy. There was garbage all over and found some old newspapers and stuff saying back to the 40’s. Also in one of the bedrooms upstairs there were children’s sized handprints in what I’m assuming was red paint on some of the walls and that was super creepy. Nothing really weird happened but there were also like 10 people inside. Didn’t they tear this place down though? Nevermind looks like the house is still there and the yard is somewhat maintained now. Looks a little different on the side away from route 31 too. Wonder if they’ve done any work inside because there was basically half a stairway missing between the first and second story. I drive down this road almost every day. I live a stone’s through from it. My dad and I used to go fishing down at the end of the road behind the abandoned house in the old cow pasture down there all the time. We’d light a fire and my dad and my uncle would tell all of us girls stories of riding there bikes down this road when they were little at night. There’s a local tale of a woman that was beaten and drowned back in the 30’s. They never found her killer, just the body. Also, the Loomis gang is said to haunt Sterling as well. There’s a lot of local, terrifying history in and around this area. It is definitely a very creepy road, it’s pretty long and very desolate. I went there tonight with the windows down going very slow. I proceeded to stop and turn off my headlights. Me and my friend thought we were hearing footsteps in the woods, then we saw a light that looked like an old lantern in the woods. It appeared for approximately 5 seconds and moved at a walking pace. I thought maybe it could’ve been a light in the distance so I backed up and there was no other light there. Also me and my friends could tell it was in the woods and not through it. This road is extremely creepy, if I had a flat tire down there I would drive flat all the way to the start of the road again. Was down this road tonight, spent a hour exploring it. First impression was this is one creepy road. I was hoping to not hear a banjo. Parked at the trailhead and was getting my camera set up for night pictures. We kept hearing what sounded like a small animal in the under brush on either side of the road. Walked down the road till we felt the sound in the woods was following us. Walked back to our car and started just taking pic from the car. Got a few nice pics of orbs. On the drive out we stopped to set our gps for home and both felt we heard a lady screaming, but more of a vocal warm up then a scream. If that makes sense. We did not see any other cars or people around the area. 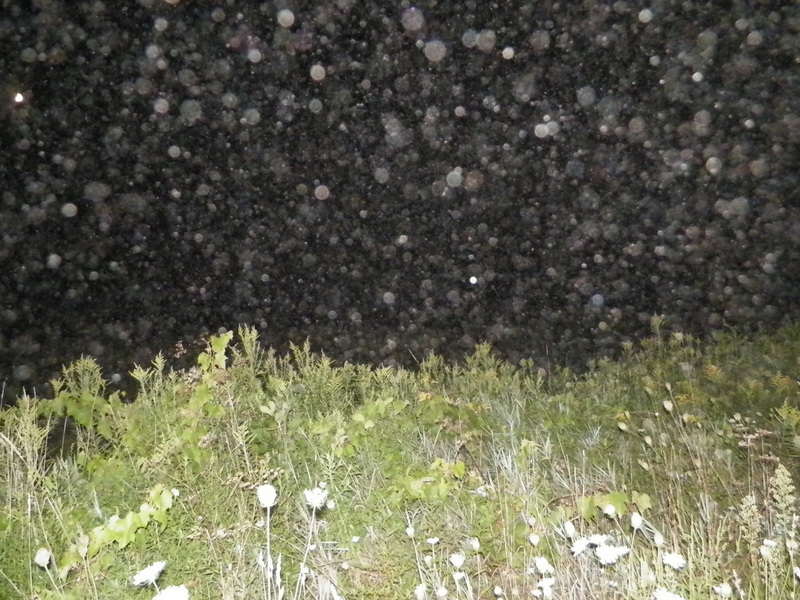 I got the best orb picture of the night right after it in the field next to the woods though. Posting pics might have to post multiple comments for it. Sterling road is a very eerie dirt road,there is an abandoned house at the edge of the road, that many people have expiriences at including my friends that went inside the house from the window in the back of the house, my friends went in looking for a freind that was going through some troubles and my friends told me they were grabbed on the head, a chair flew across the room, and there were church bells distand and this was at like 3 in the morning the house alone is truly scary, but the road is terrifing, there is distant screams, spirits watching at you through the trees( you can actually see them), cars that dissapear, and the temp drops like 40 degrees from verona beach, there is a barn in the woods on the road that supposebly a teen girl was walking home from prom when 2 people dragged her into the barn, rapped her, then murdered her, sterling road is truly scary and is not for amature people to investagate the property. My friend and I just left the road. We visit frequently but today we got out in daylight- walking the road for the second time. We typically just use a radar app to get words. Some of them make complete sense with the history, and sometimes we don’t know how to piece the words together. Anyway, tonight it said my name plain as day on the radar app. There was something on the radar quite close to me the entire time I was on the road. My heart feels heavy but somehow I feel a connection? Like I want to help. I feel like it might be the woman or another woman, and her name might be “Kristin”. If anyone has any information, please let me know! I work a Cinderellas in Sylvan beach and I live in oneida so I was driving home and decided to take sterling because why not I wasn’t really thinking of the haunted stuff as I was the suspension on the truck. My mom said she almost lost control so I figured I’d see for myself (spoiler alert) I had to go like 15 mph. She was right. Now if there was screaming I wouldn’t have herd it because I had my music blasting. But I got about halfway down the road and there was a white dress suspended in the air. It looked like it was hanging from a tree honestly I looked at it but I didn’t stop and it disappeared after like 3 seconds. I just kinda ignored it and went home I mentioned that I went down sterling to my mom the next day and she asked if I saw the girl in the white dress. She said she was hung out there. So I started digging up the story and now I’m here.